Leaves on the ground. Pumpkin pie. Stuffing. Family traditions. Thanksgiving is a wonderful time of year! I love Thanksgiving because it means I get to spend time with my family and some of my favorite food. 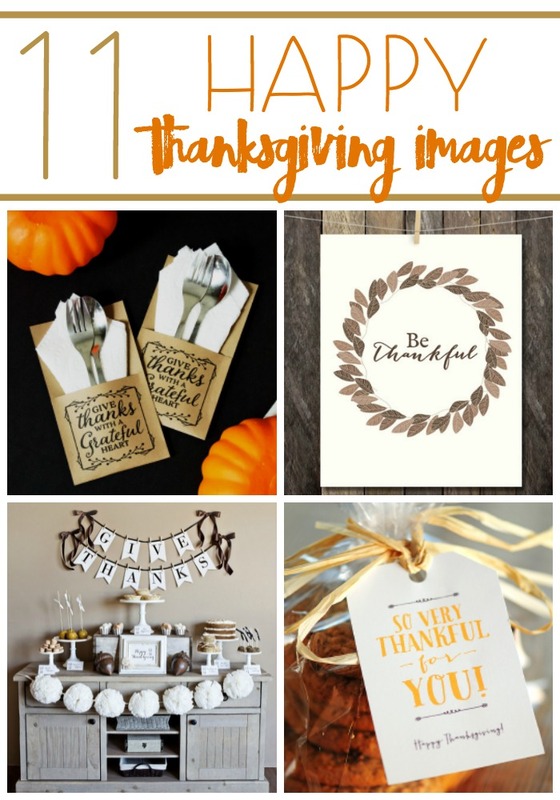 This season is the perfect time to decorate your home to help remind you what Thanksgiving is all about! So I gathered some beautiful and fun free printables from some very talented people just for you. Let’s take a look at these 11 Happy Thanksgiving Images!